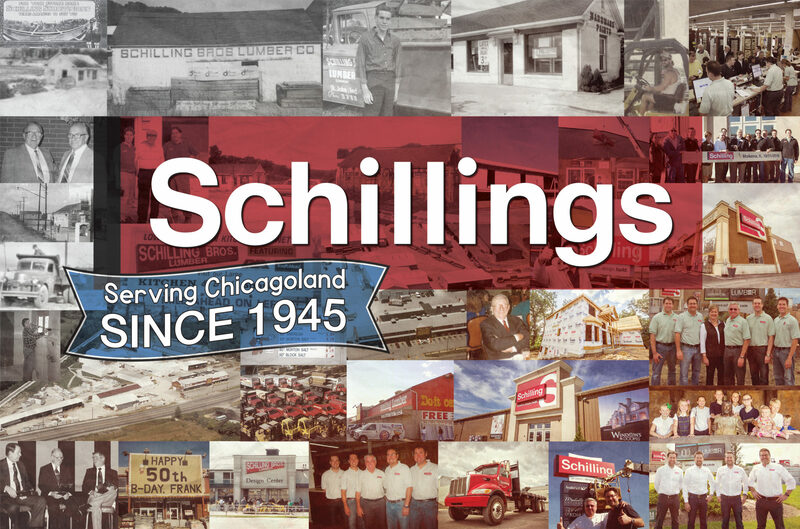 Since 1945, Schillings has provided Northwest Indiana and Chicagoland with the means to build great residential homes and projects with solid advice, products, and a neighborly attitude. Our great-grandfather planted the foundation for a century of family successes and commitment. Our mission has surpassed the test of time and even grown stronger. With added services, newly refreshed showrooms, a fleet of trucks, long list of quality services, and a renewed brand identity, this third generation of Schilling Brothers is on track to keep the family legacy and dedication to growth in Northwest Indiana and Chicagoland residential construction growing strong. 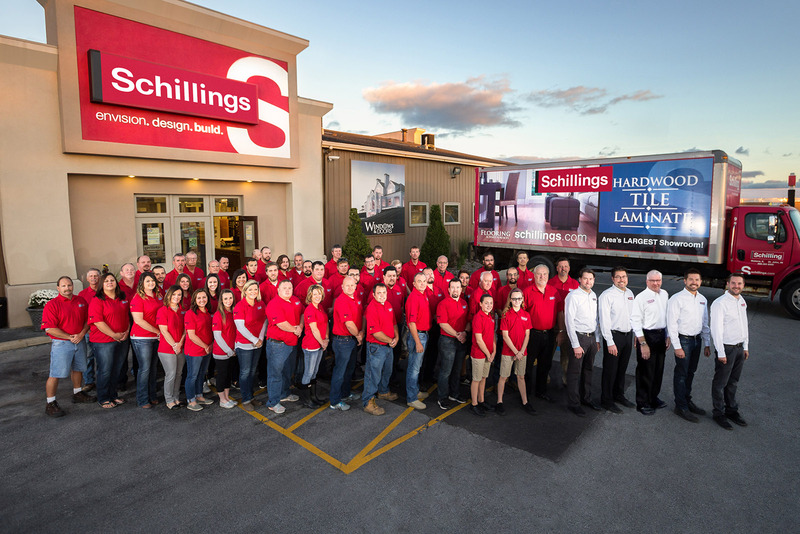 Schillings long list of services is our true differentiation. 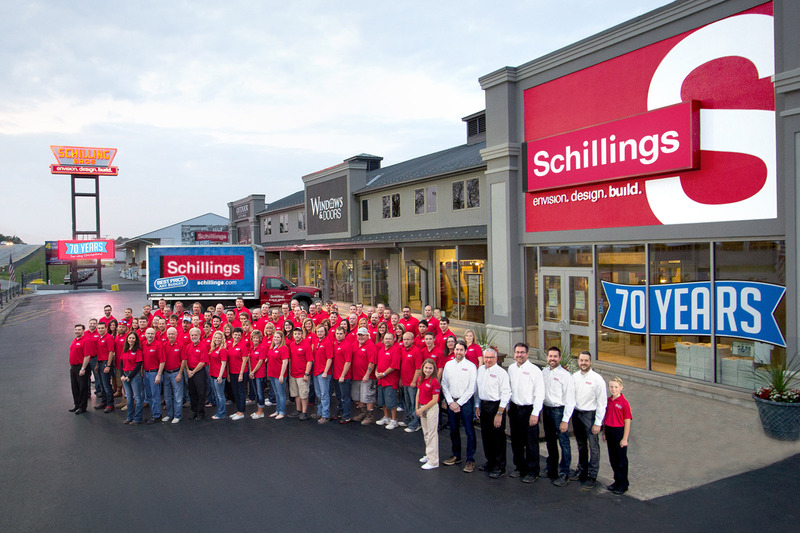 When Schillings is put to the test by homeowners, contractors, and the community, we strive to be second to none when it comes to services. Our long history in Northwest Indiana and Chicagoland has not only helped to grow our passion for people and our neighbors, but it has also helped us to build a long retained, dedicated team of leaders and experts in our field right here in our showroom. Great Grandpa Schilling would be proud. Our sales staff is trained to review your project with you and make enhancements and cost-cutting recommendations as well as check for local building code compliance. If you would like to see any additional services or care to learn more about our existing, give us a call. We are always working toward improved customer experiences.